Could it all rest on whether you think about the future? Some people seem to be able to build up a savings account with little effort. Others struggle to do so and become mired in debt. Is it a question of income, financial literacy, or is it something else? Psychologists are wading into this issue, with new research suggesting there is one distinctive difference between those who save and those who don't. 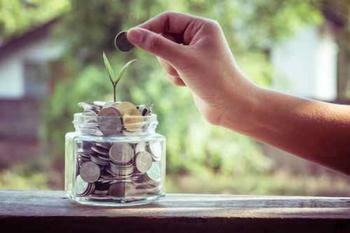 Research presented at the annual convention of the American Psychological Association found that people who focus on the future are less likely to give into impulse, no matter their level of financial literacy. Those who live in the moment are more likely to spend like there's no tomorrow. “Our results suggest that by helping people to create vivid, detailed mental pictures of their future, we may be able to help people make better financial decisions,” said Sarah Newcomb, a behavioral economist at Morningstar, who presented the research. Psychology has long been used by marketers to identify ways to get consumers to spend more money. Now, it seems financial planners are exploring the human mind to help people save. Newcomb says the research was aimed at better understanding the human emotions involved with money. A study of over 700 consumers linked impulsiveness and materialism – traits associated with in-the-moment living – with poor financial decision-making. The study found that forward thinking was a better predictor of good financial behavior than the degree of financial literacy each participant possessed. An economist recently offered a similar theory. Earlier this year Keith Chen, an associate professor of economics at UCLA, said that his research focused on the savings rate of people who spoke different languages. He found an intriguing consistency. People who speak languages that make little or no distinction between the present and future tend to be the world's biggest money-savers. The Chinese language, he says, is a good example. There is little difference in future and present tense and the Chinese are among the world's most prolific savers. English, on the other hand, makes sharp distinctions between present and future and Americans and the British are among the worst savers. Newcomb says financial literacy efforts are fine, but she urges efforts to help consumers focus on the future. “Working with individuals to develop a clearer picture of their future may have a more substantial impact than simply teaching financial concepts,” she said. In the meantime, she says her research made one thing clear – the destructive role of credit cards. Newcomb said the study showed that even the most impulsive consumers were able to save some money if they did not have access to credit cards. “This suggests that the first line of intervention for better financial health among people who struggle with impulse problems may be to stop the use of credit cards altogether,” she said. Does the consumer economy encourage needless spending?